Hello friends ! Today we are here with a great trick about Facebook and that name is How To Set Up Your Facebook Account Deletion After Your Death. Yes you’ll be able to do this after read the trick. First of all we’ll discuss about it. So let’s start. Are you still thinking that what’s about the trick. This trick is about your Facebook account. It means you can memorize your or delete your facebook acoount after your death. In this trick we’ll learn about How To Set Up Your Facebook Account Deletion After Your Death. Any time you can delete your facebook account. All of us known about it. But most of our people don’t know about how he or she can delete his facebook account after his death. Now you are thinking that how is this possible ? Yes friends, it’s possible. You can delete your facebook account after your death. Isn’t it interesting ? Of course it is. One of your close friend can help you to do this. Most of our people has a facebook account. It is a part of our daily life. Now we can’t spent a day without it. We as different as our test. So many people want that his facebook account will be deleted after his death. That’s why Facebook start’s this new feature. So, let’s know how to do it. Firstly you need to go to Facebook Security Settings. Then go to the Legacy Contact option. And from there you must choose Request Account Deletion. 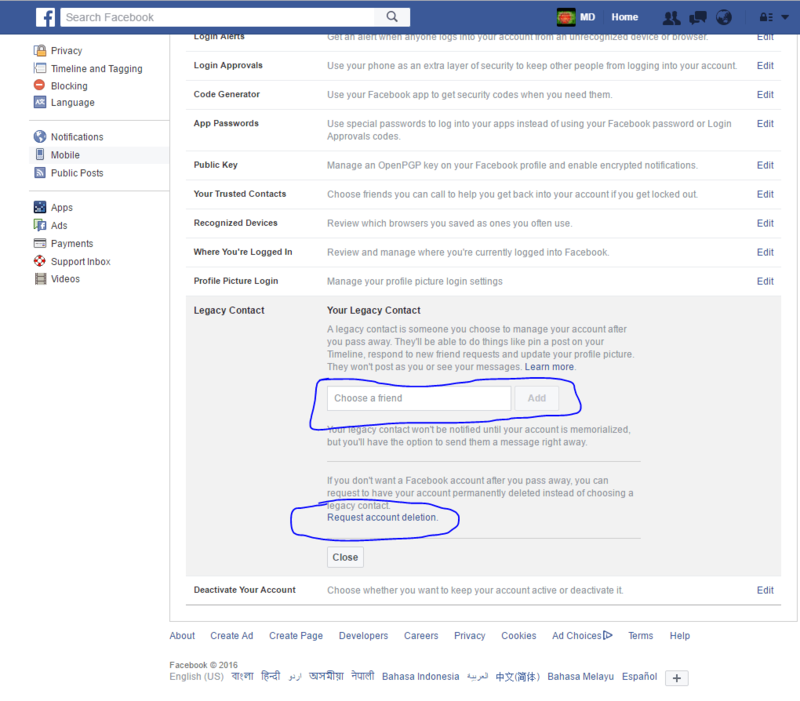 Confirm up the prompts and then appoint any friend of yours on Facebook to be elected as the one who could take care of your account after your death. 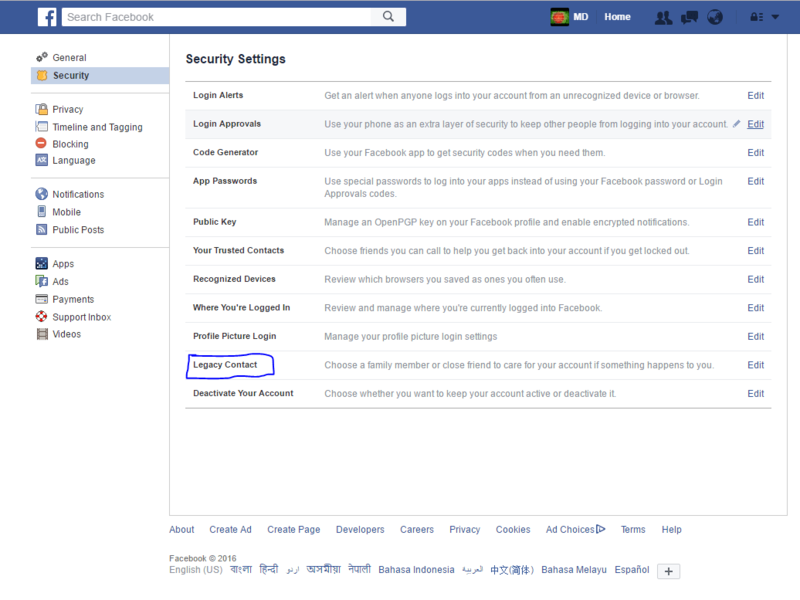 After that if anybody requests on the Facebook for your death then the legacy contact would be able to delete your account after accessing it. Now you have know about this trick. It is one the most valuable tricks ever. Just imagine that you can delete your facebook account after your death. This is a wonderful trick and you can share it to your friends and family. In this world if you want to connected with our friends you must have a facebook account. All of your friends have a facebook account that’s why you need it too. You can share your joys and sorrows within a minute. And now you know the best thing about Facebook. By this trick you can surprise your friends. You can try it and believe us this is a awesome thing. So try it and stay with us for new and awesome tricks. Till than be well.